Works neat, with ice, or as a mixer. 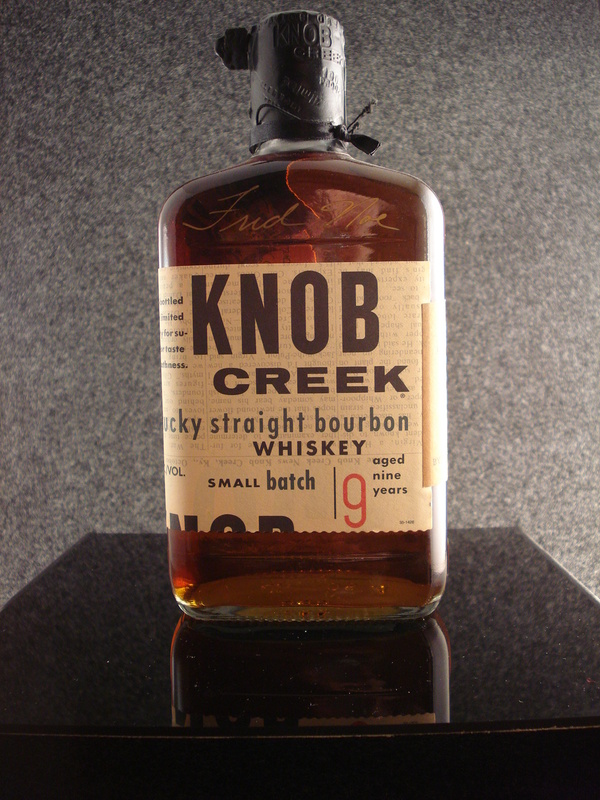 I have to advise that bourbon drinkers keep a bottle of Knob Creek on hand, well, always. 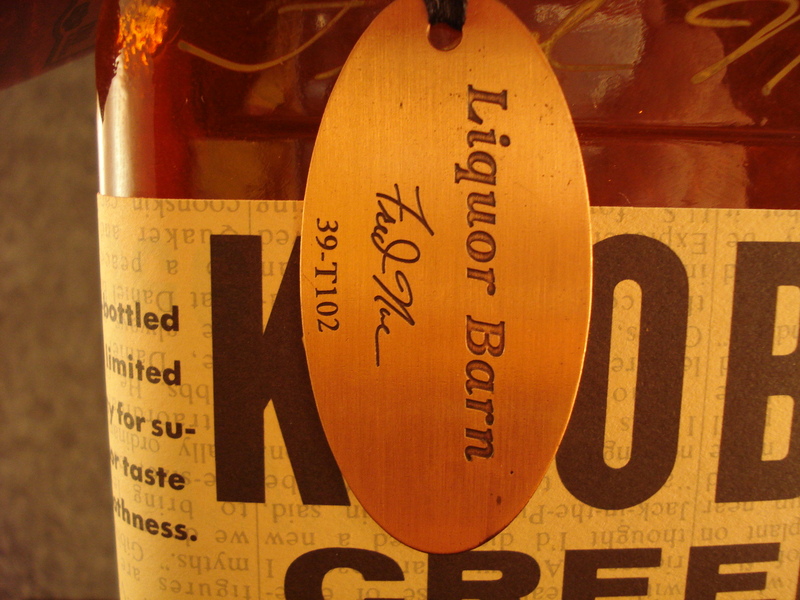 Knob Creek is clearly among the most common and popular premium bourbons on the market today. Produced by Jim Beam brands in Clermont, KY, Knob Creek is the mainstay of the Jim Beam Small Batch Collection. 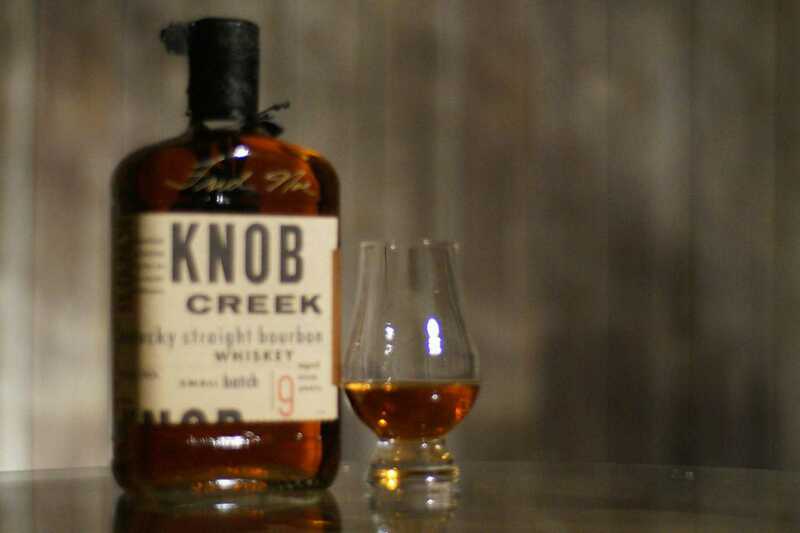 Created by Booker Noe himself, Knob Creek is a small batch bourbon, bottled at 100 proof, and sold in more restaurants, bars, home bars, and airports than you can shake a stick at. Knob Creek seems to be one half of bourbon’s version of the Coke/Pepsi dichotomy. It seems that every bourbon drinker regards either Knob Creek or Woodford Reserve as the starting point for premium bourbon, and very few people care for both. I’ve always been a Knob Creek kind of guy, and probably drink it more than any other bourbon. In fact, I keep a large decanter of it on my bar at all times. I’m not entirely sure why I haven’t got around to reviewing it yet, but it’s time that was remedied. 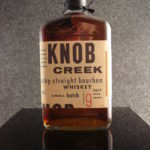 Knob Creek is packaged in a short, square bottle with cream label and black wax over the cork. It’s not particularly eye-catching, but it is attractive. 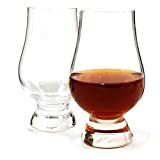 The bourbon is a very dark coppery-brown color. HUGE whiffs of aged, soaked oak hit the nose right off the bat. It’s like being in an oak boathouse. But caramel and maple syrup are prominent as well. The front of the tongue gets a sweet maple syrup taste immediately upon sipping this bourbon. As the flavors move across the tongue, there are definite notes of roasted sunflower seeds and tannin from the oak barrels. The finish is long, with the tannins remaining prominent. There is an alcohol burn that is probably stronger than the 100 proof suggests it should be. But there is also a lingering caramel sweetness along with oak on the tail end. Knob Creek is sort of the perfect bourbon. I don’t mean to say it’s the best bourbon, because that’s simply not true. But it works for everything. You can sip it neat, and it’s good. You can add ice or water and it retains its flavors and aromas with little change. 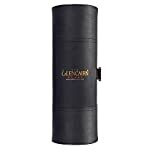 It mixes very well for cocktails without overwhelming the drink or being overwhelmed itself. It’s cheap enough that you shouldn’t mind if a guest mixes it with cola, and good enough on its own with enough street cred in the bourbon community that bourbon snobs will rarely, if ever, turn their noses up if offered a glass. It’s also abundant enough that you can find it or replace it easily. 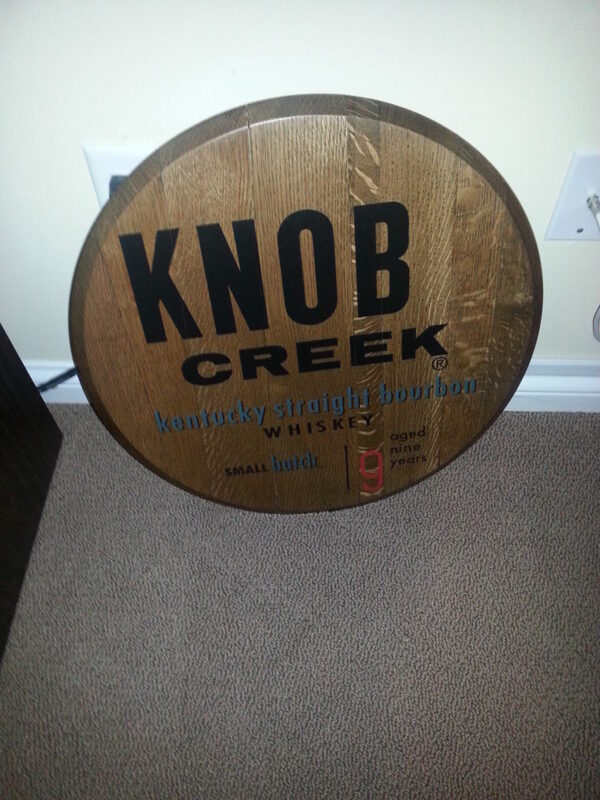 So I have to advise that bourbon drinkers keep a bottle of Knob Creek on hand, well, always. Is that really Fred Noe’s autograph on the bottle? How cool! It is. I actaully have a couple different bottles of Knob Creek. I reviewed it using what’s in my decanter, but I thought the autographed bottle made for a better photo. Fred did a tasting and signing at Liquor Barn, a local big box chain, about a year ago. If you’re buying to make cocktails may as well get something cheaper. Drinking neat or with a little ice- this hits the point on great quality/price range. The “Jim Beam” company has it worked out . 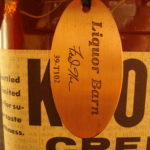 Knob Creek 100 is a great bourbon a a reasonable price. Looks like they changed the label a bit, smaller, getting away from the “reused newspaper” motif. Highly recommend this bourbon. It is as good or better as other ones more expensive. Agreed- its a perfect bourbon based on quality, price and availability , mainly on quality.